Mr. Sticky's, a sweet family business. 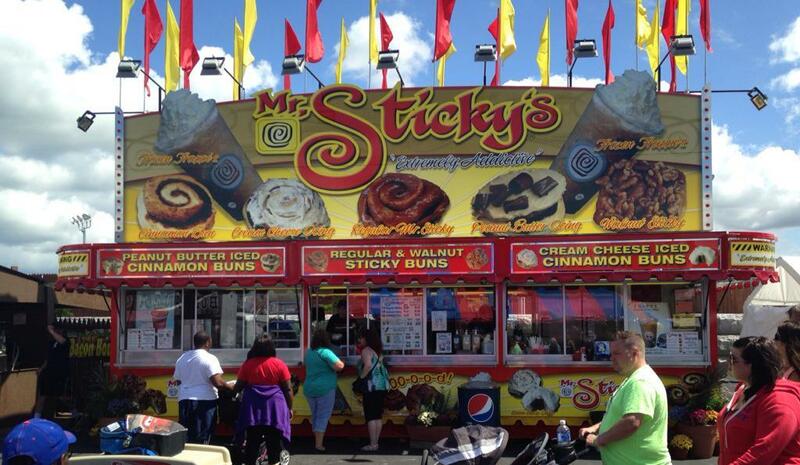 Mr. Sticky's is located on I7 on the Erie County Fair map. Walnut sticky bun with cream cheese topping: $7. Go big or go home: This is a pastry of heart-stopping sweetness. Mr. Sticky's sticky buns are ... sticky. Walnut sticky bun with peanut butter icing: My annual sugar allotment in one dish.